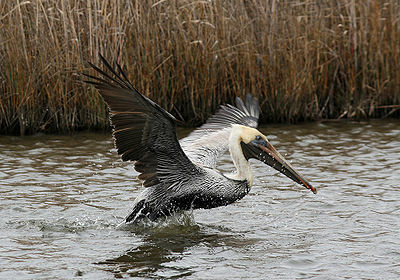 The Pet Wiki > Uncategorized > How Does the BP Oil Spill Affect Animals? How Does the BP Oil Spill Affect Animals? August 9, 2010 Comments Off on How Does the BP Oil Spill Affect Animals? The BP Oil Spill occurred on April 20, 2010 in the Gulf of Mexico, following an explosion on an oil rig that triggered the outpour of oil from the sea-floor. The leak continued for 3 months and was stopped on July 15, 2010. This was the largest oil spill on record and has the potential to devastate marine life in the area. Turtles, fish and other coastal animals, such as birds, have been covered in oil. As time goes on, the lack of small marine life in the area will cause a shortage of food for the larger animals. A BP contract worker says BP is trying to cover up the full extent of damage to wildlife: “There is a lot of coverup for BP. They specifically informed us that they don’t want these pictures of the dead animals. They know the ocean will wipe away most of the evidence. It’s important to me that people know the truth about what’s going on here.” BP spokesman Toby Odone denied that the company is covering anything up. The full effects of the devastation wreaked by the oil spill are still to be discovered. The U.S. Fish and Wildlife Service (USFWS) is conducting aerial and ground surveys to assess the damage, and recovering oiled or injured wildlife to be cleaned, healed and released in safe locations. The National Wildlife Federation (NWF) is also involved in helping. NWF President and CEO Larry Schweiger has been focusing his efforts on explaining to the media what the great tragedy of the oil spill has caused. The organization is also focused on long-term efforts to pass green legislation which would rehabilitate the Gulf of Mexico and prevent incidents like this from happening in the future. ABC News has compiled a list of organizations which are helping save animals hurt by the oil spill. Note the Facebook group for Gulf Coast oil spill Volunteers. The USFWS is accepting volunteers to help save wildlife. It has set up a toll free number to report oiled or injured wildlife. To report wildlife, call 1-866-557-1401. If you have experience in wildlife observation and tracking and are local to the area of the spill, you can volunteer to help the NWF in its conservation efforts. The NWF is also collecting donations to help save wildlife and offers a petition to sign for cleaner energy choices. Go to National Wildlife Federation: Oil Spill Crisis.